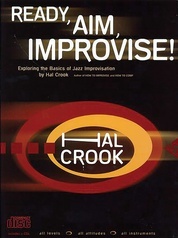 How do you learn to improvise? 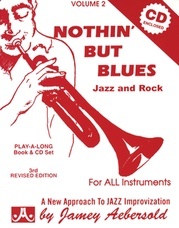 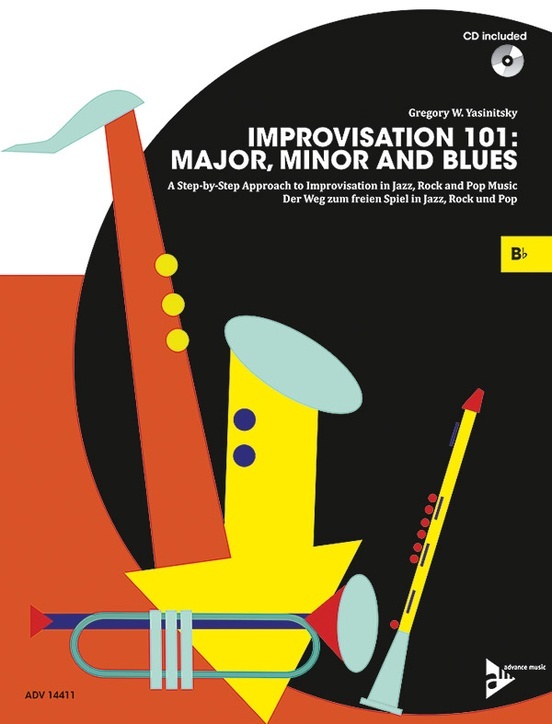 Greg Yasinitsky's new method for beginners, Improvisation 101: Major, Minor, and Blues, has been thoroughly tried and tested in numerous workshops and classes. 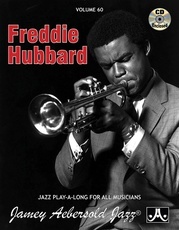 His method is based on easy-to-play pieces that each introduce, one at a time, the building blocks of jazz, rock, and pop music. 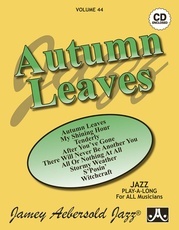 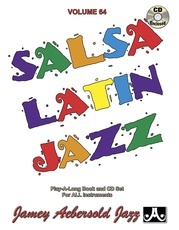 Each tune comes with sample solos, improvised and written out by experienced musicians. 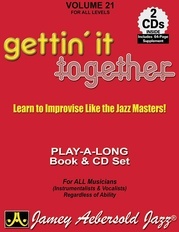 Step-by-step your skills will develop, from understanding the theory, to copying and elaborating, to playing and improvising freely. 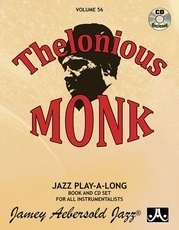 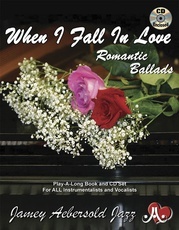 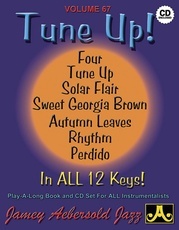 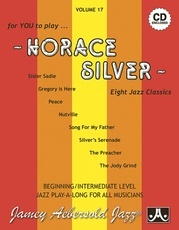 The included play-along CD provides you with both melody and play-along tracks, as well as sample solos for each piece. 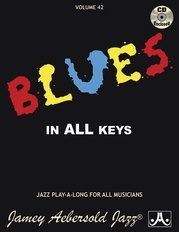 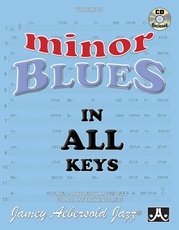 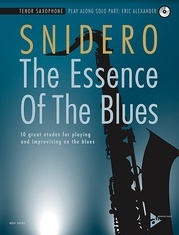 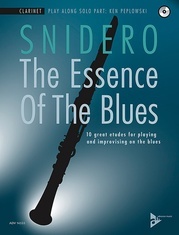 Improvisation 101: Major, Minor, and Blues is available in compatible editions for B-flat, E-flat, C, and bass clef instruments. 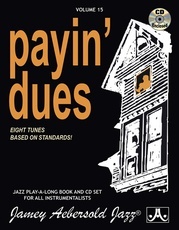 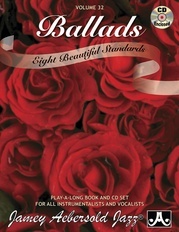 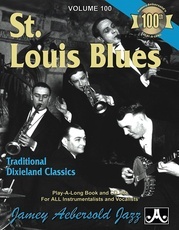 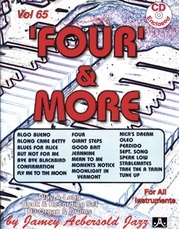 Further editions for double bass/electric bass, guitar, and piano also feature very easy bass lines, with chords and accompaniments (guitar edition includes TAB). 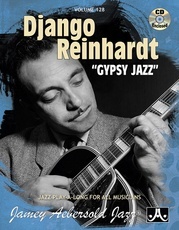 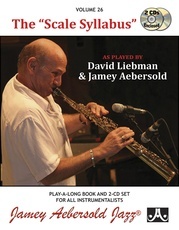 Jamey Aebersold Jazz, Volume 26: The "Scale Syllabus"
Jamey Aebersold Jazz, Volume 128: Django Reinhardt "Gypsy Jazz"
Jamey Aebersold Jazz, Volume 67: Tune Up!